I never knew that. 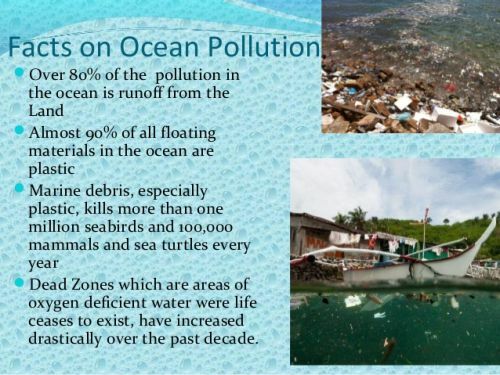 Very interesting! Does The Moon Ever Really Turn Blue? Yes, but only once in a great while. There has to be exactly the right kind of smoke or dust in the air. 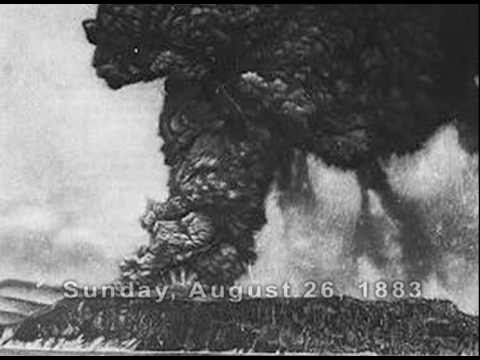 It happened most spectacularly in 1883, when the Indonesian volcano Krakatau (aka Krakatoa) blew its top, spewing dust all around the globe. 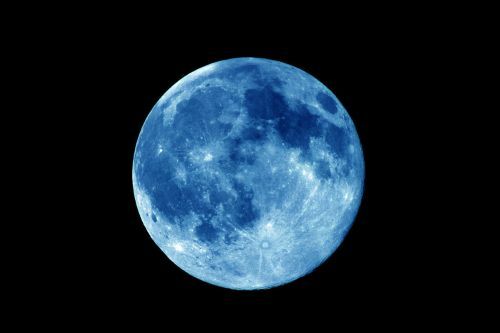 The bluest moon since Krakatau was caused by a series of forest fires in western Canada in 1951. When these things happen, the moon itself doesn’t change color, of course; it’s just the way it appears when viewed through the smoky air. Understanding this will take us a bit away from astronomy, but the explanation involves some fundamental ideas about the nature of light that will serve us well in many other situations. So even if you don’t care a fig about sad-looking moons, stick around. 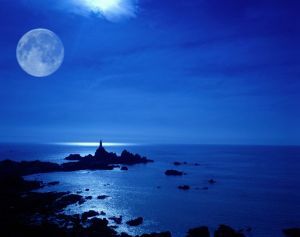 What’s behind a blue-appearing moon, and a lot of other things that we see, is the fact that light scatters. I don’t mean that it reflects, such as when it bounces back off the bathroom mirror to remind you that you’re getting older. By “scattering,” scientists mean that individual particles of light bounce off individual molecules and other tiny particles, like billiard balls bouncing off one another. Did I say particles of light? Yes, indeed. 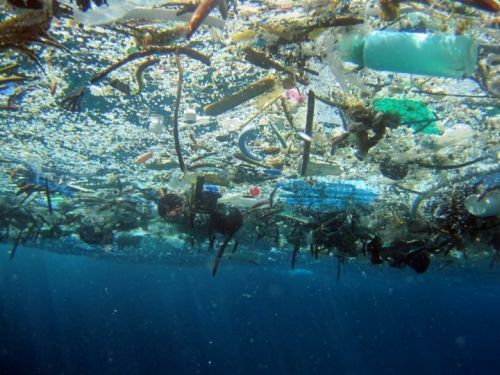 And you thought that light consisted of waves? 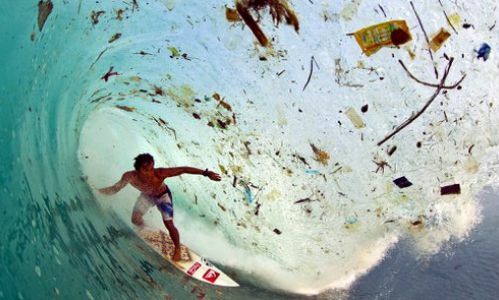 Waves of energy, rather than particles of energy? Well, we’re both right. Let’s get that little problem out of the way first. Light, and all other so-called electromagnetic radiations, from radio waves to X rays, are indeed waves of pure energy, traveling through space at the speed of, uh, light. We can manipulate light waves by putting them through specially shaped pieces of glass or other transparent materials: lenses and prisms. Practitioners of the science of optics, who bring us our microscopes, telescopes and eyeglasses, have no problem treating light rays as if they were pure waves, making them reflect and refract (change direction) to perform a variety of useful optical tricks. 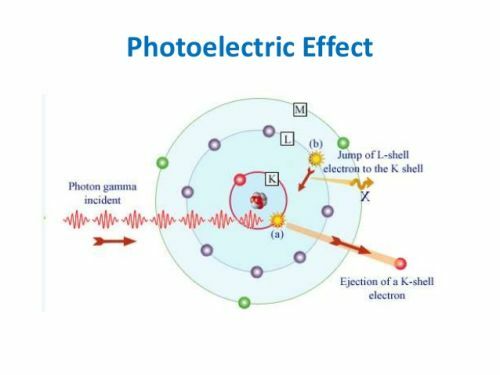 But certain other things that light does, such as knocking electrons out of atoms, can only be explained if light consists of a stream of tiny particles, like bullets from a machine gun. We call those light bullets, and the bullets of other electromagnetic radiations, photons. 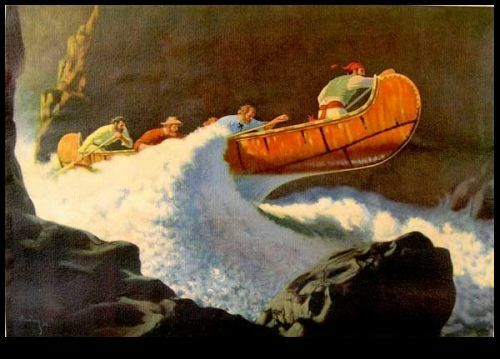 So is a beam of light a stream of waves or a stream of particles? 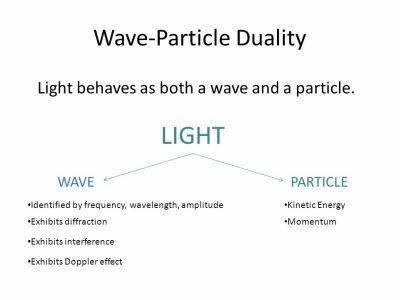 Perhaps the most astounding and unsettling discovery in human history was that light and other electromagnetic radiations behave as if they are both waves and particles. Or, if you prefer, they behave as either waves or particles, depending on what you catch them doing at any particular moment. When a man named Albert Einstein (1879–1955) proposed in 1905 that light can knock electrons out of atoms as if it were a stream of bulletlike particles, he earned a Nobel Prize. 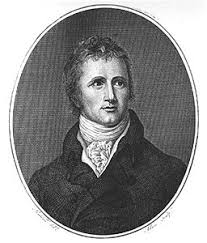 (His prize was awarded for this work, for explaining this so-called photoelectric effect, not for his theories of relativity, which came much later.) 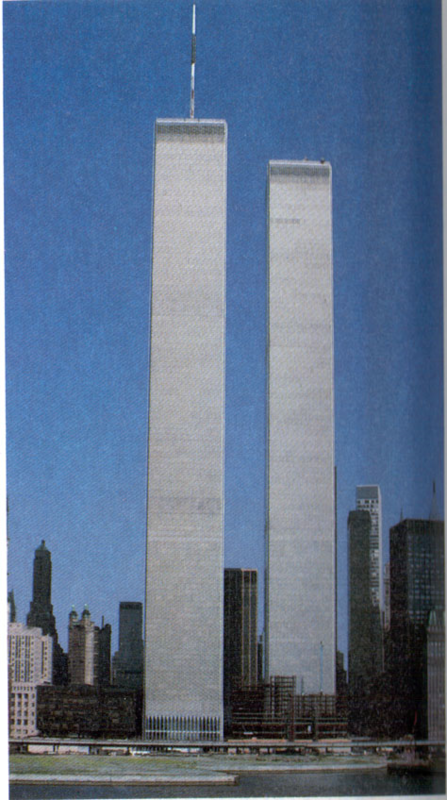 It was almost as hard for physicists to swallow this two-faced idea as it is for you. But plentiful evidence has since proven beyond any doubt that it’s true. Not only that, but (are you ready?) the reverse is also true: Honest-to-God particles such as electrons can act as if they are waves. Heady stuff, huh? 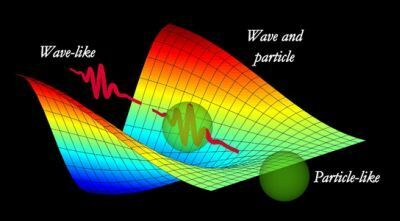 Physicists are now quite comfortable with this weird subatomic schizophrenia and refer to it as wave-particle duality, or simply duality. No amount of further palaver on my part will make it seem any more reasonable to you. That’s just the way it is, and if you don’t like it, move to another universe. Didn’t mean to be brusque there, but we’ve got to move on and explain blue moons. I said that they’re caused by the scattering of light photons, presumably after colliding with something. Well, what would cause a particle of light to veer off in a different direction after a collision? Obviously, a collision with some other particle that is at least as big as it is. Because certainly, a baseball wouldn’t be scattered by a collision with a mosquito, would it? 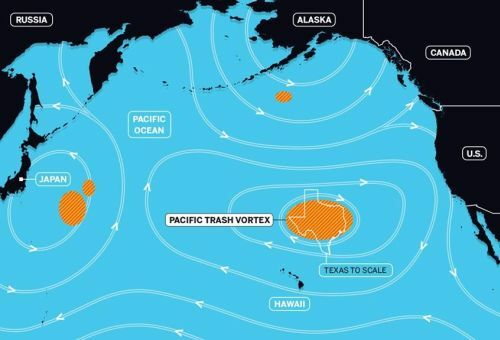 But if it collided with another baseball during its home-run flight out of the ballpark, it would be deflected into some much less fortuitous direction. So we must conclude that a photon of light will be scattered best when it collides with something that is approximately its size. But what is the size of a photon? How do you measure it, when it won’t even stand still, oscillating like a wave whenever it feels like it? Well, if light can be schizophrenic, so can physicists, who take refuge in the wave description of light whenever they feel like it. They consider the “size” of a photon to be its wavelength when it’s acting as a wave. (As a wave oscillates up and down, which is what waves do, the wavelength is the distance between two successive “ups” or two successive “downs.”) Our conclusion, then: Light will be scattered best from objects that are approximately the same size as its wavelength. The light that comes to us from the sun is a mixture of all colors, all wavelengths from red, the longest, to violet, the shortest. When all the daylight colors are mixed together, as they are when we receive them here on Earth, our eyes and brains interpret the light as no color at all: white light. That’s the light that we can see. But there are other “colors”, infrared and ultraviolet, for example, that our human eyes are simply insensitive to. In the light that we can see, blue has just about the shortest wavelength; it consists of the “smallest” photons. 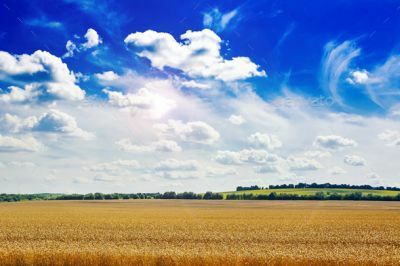 It will therefore be scattered best by the smallest particles that it may encounter in its travels through the air, namely the molecules of nitrogen and oxygen that the air itself is made of. 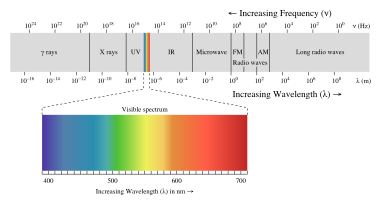 It was Einstein (again) who figured out exactly how molecules scatter light of different wavelengths: The shorter the wavelength, the more the scattering. Now what if the air contains some bigger-than-moleculesized particles, such as particles of dust or smoke? 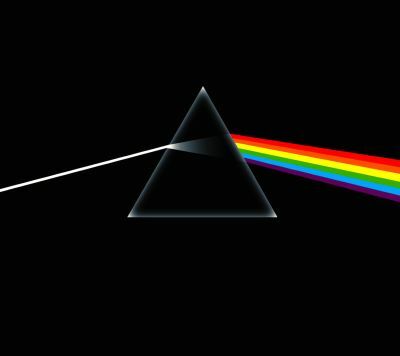 Then the other colors of light, the longer wavelengths, can be scattered more than usual. If, and it’s a big if, a forest fire or volcano should happen to make smoke or dust particles that are exactly the right size to scatter longer-wavelength red light, then the light coming down from the moon will have a lot of its red scattered away before it reaches the ground. And light that is deficient in red looks bluish to us. Hence, so does the moon. 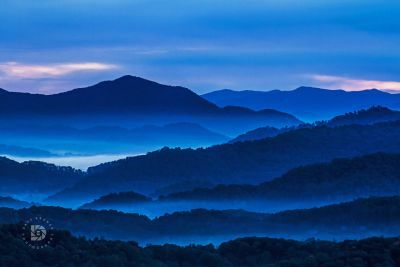 Why is there always a blue haze around some mountains? Evergreen trees give off vapors of resinous chemicals. 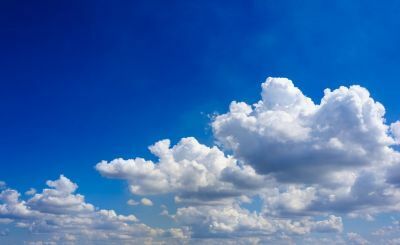 These vapors can react with ozone in the air to produce extremely tiny solid particles of just about the right size to scatter blue light. So blue light photons are being scattered and rescattered all around, while the other colors are passing by in straight lines. Thus, more blue reaches our eyes than the other colors. Is that why the sky is blue? Pretty much, yes. But the sky isn’t blue because the blue light is being scattered by dust, as was once believed, and as many people still believe. The blue light is being scattered by the nitrogen, oxygen and other molecules that make up the air. These molecules are best at scattering the shortest wavelengths, with blue light being scattered about ten times more than red. When you look up at the sky, we’re seeing all that extra blue light that may not have started out in your direction, but that has been scattered and rescattered into it. 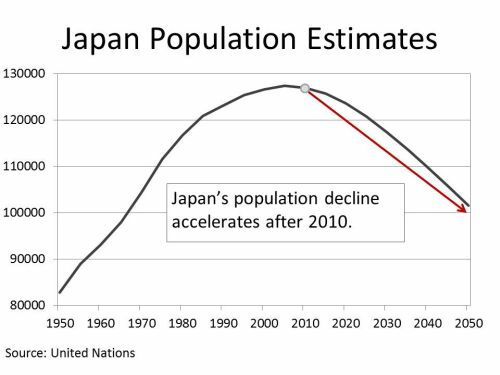 Japan’s population is expected to drop to below 100 million by 2050. 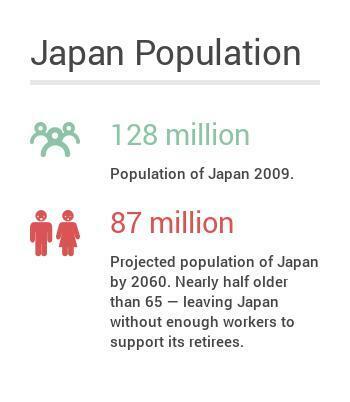 In 2011 about 127,960,000 lived in Japan, and in the 2010 census the population of Japan was 128,056,026. 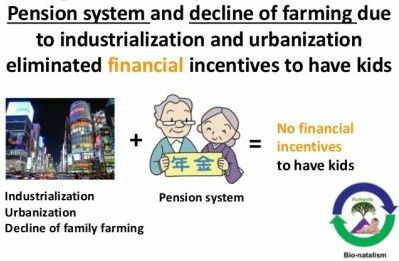 Yup, that means the country’s population decreased. 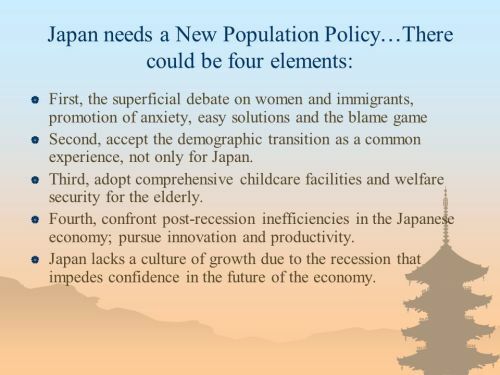 The main reason for the decline can be blamed on a low birth rate, Japan’s birth rate has been falling steeply for half a century. 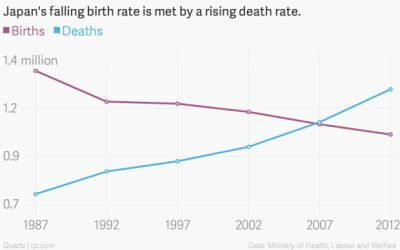 It would be easy to blame women for the fertility crisis, but the truth seems to be a little more complicated. 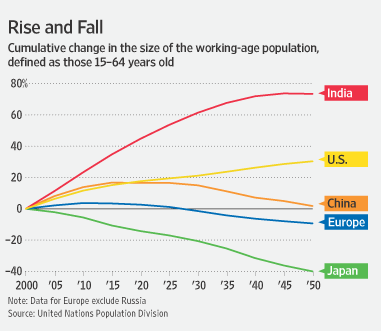 The general trend in the developed world is that women are working more and marrying later. 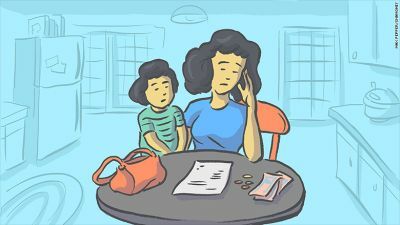 Many young couples do not have much money and that makes raising a child is very expensive in a country where the cost of living is high. 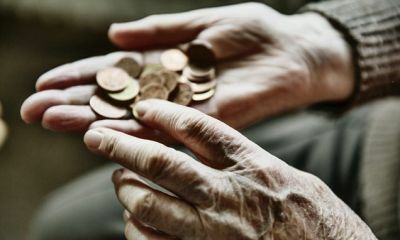 Housing and education costs are steep and until fairly recently, there was little government support. Child care facilities that can keep infants all day that are affordable are also hard to find. 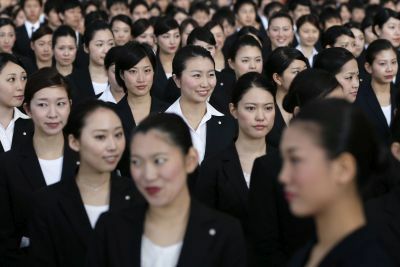 These factors, among others, force many women out of the workforce. The fix? 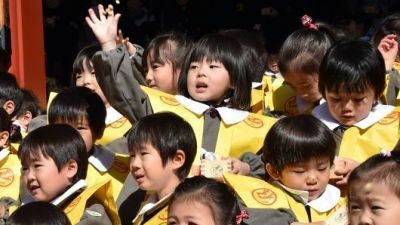 The Japanese government has introduced more family-friendly policies, but social change so that both men and women have a better balance between work and family is key. 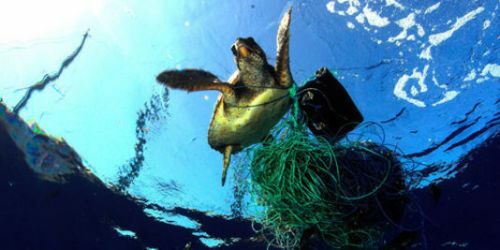 We Are Killing Our Only Home! 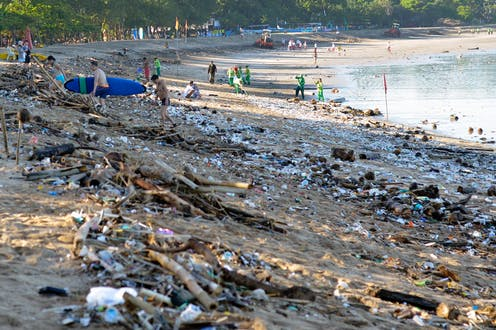 What Is The Longest Man-Made Object on Earth? 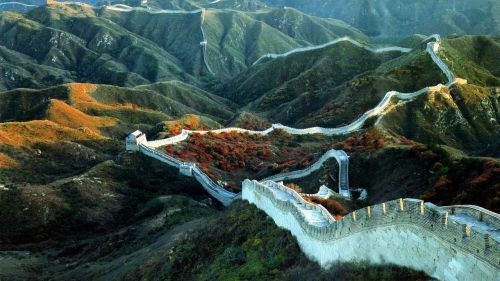 You might guess that it’s the Great Wall of China, which is about 1,700 miles long. 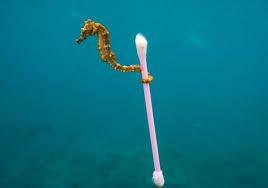 But other man-made things on earth are longer, yet much less noticed, because they’re not on earth, but under it! 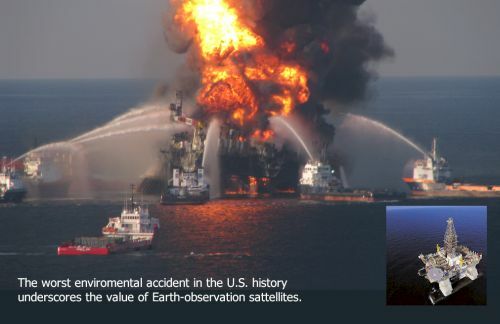 The longest objects on earth are actually fuel pipelines that carry oil and gas from oil fields to factories, where the fuels can be refined. The pipelines usually consist of steel tubes, a few feet across, that are buried about two feet below ground. 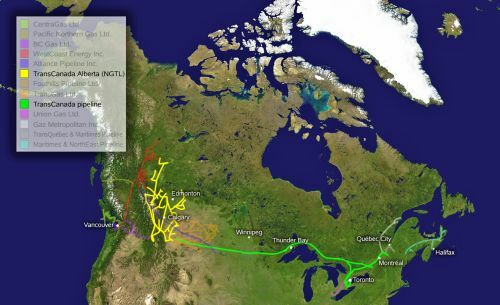 One oil pipeline in Canada stretches 1,775 miles, and an oil pipeline being built in the Soviet Union will be more than 2,300 miles long. 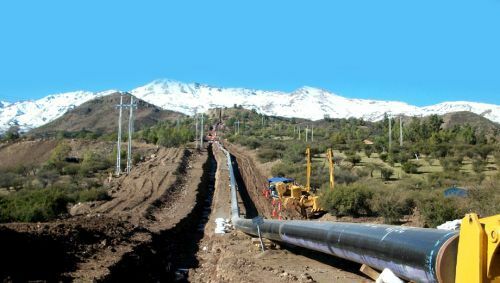 A natural gas pipeline stretching from Texas to New York City measures 1,840 miles in length, and a gas pipeline in Russia is more than 2,100 miles long. 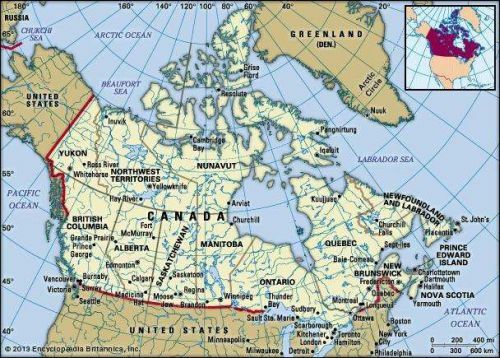 And the largest pipeline of all, a gas pipeline in Canada, is over 5,650 miles long, that’s more than three times as long as the Great Wall of China! 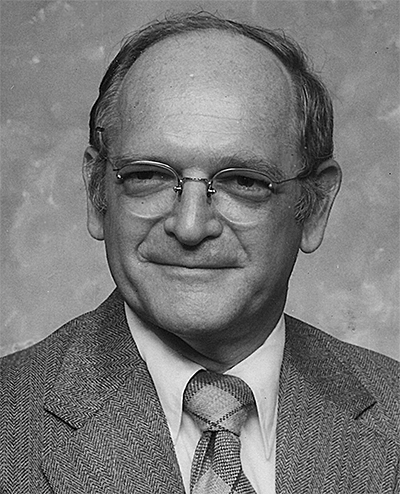 In 1963, Dr. Robert Cade was studying the effects of heat exhaustion on football players at the University of Florida. After analyzing the body liquids lost during sweating, Cade quickly came up with a formula for a drink to replace them. 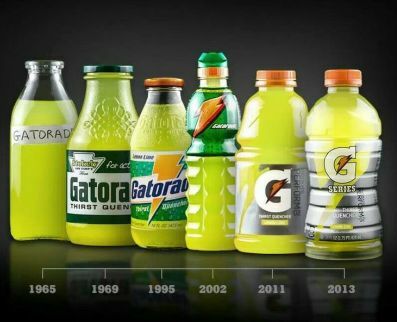 Within two years, Gatorade was a $50-million business. 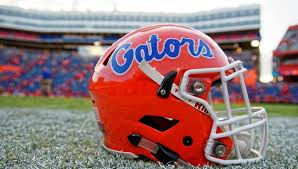 The doctor named his new health drink after the football team he used in his study, the Florida Gators. 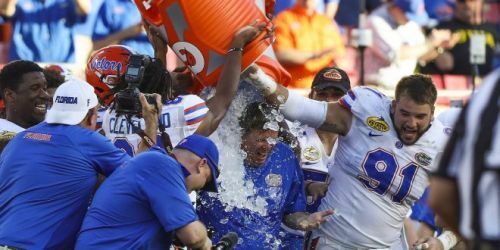 The “Gatorade shower”, also called The Gatorade Dunk, is where players from the winning team grab the Gatorade cooler, sneak up behind the head coach, and pour the contents over his head at the end of an American Football game. 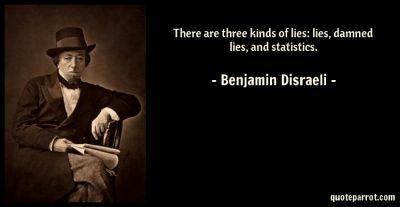 Where Did Mark Twain Say “There are three kinds of lies: lies, damn lies, and statistics”? 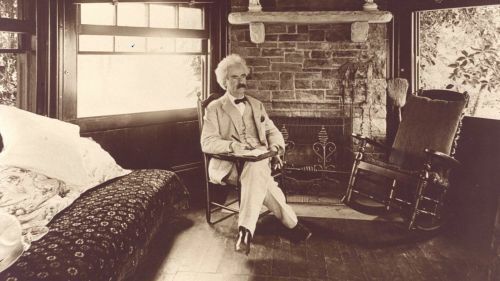 Yes, Mark Twain said “There are three kinds of lies: lies, damn lies, and statistics” in his autobiography. But he didn’t invent the phrase, he was simply borrowing it. The man responsible for the witticism (or truism, as the case may be) is Benjamin Disraeli, British author and politician. To his credit, Twain rightly attributes Disraeli in his book. To the discredit of authors since, they’ve disregarded his attribution and credited Twain himself. 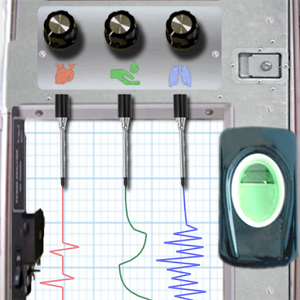 Can Lie Detectors Really Detect Lies? Lie detectors cannot actually identify lies; all they can do is detect certain activities of a person’s body that are usually associated with lying: abnormal perspiration and flushing of the face, rapid breathing, increased heartbeat, and excessive swallowing. 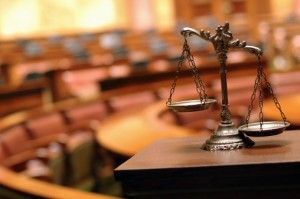 Because this method does not actually guarantee the truth, the results are not generally accepted as evidence in court. 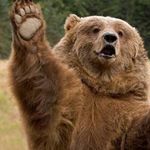 Although each of the body changes, alone, does not necessarily indicate a lie, when put together, they can provide an indication of one. 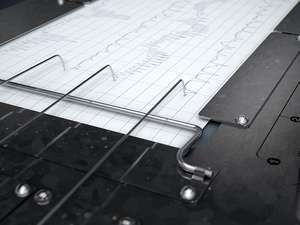 When a person is given a lie detector test, various parts of the machine are attached to his body, and a written record is made of his answers. 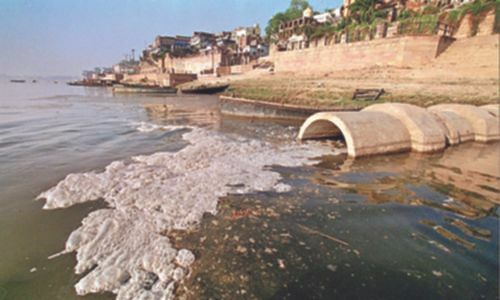 Usually, three or four tests are given to be sure that the answers were not accidental. 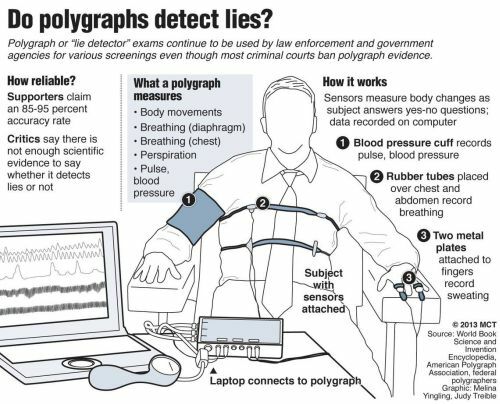 Yet, amazingly enough, a lie detector can be fooled! 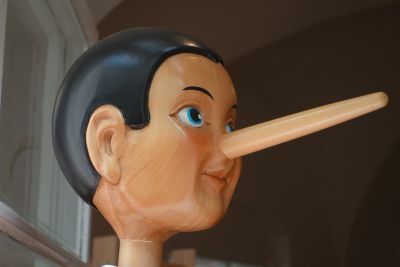 There are some people who are truly unaware that they are lying. These people cannot be caught by a lie detector. 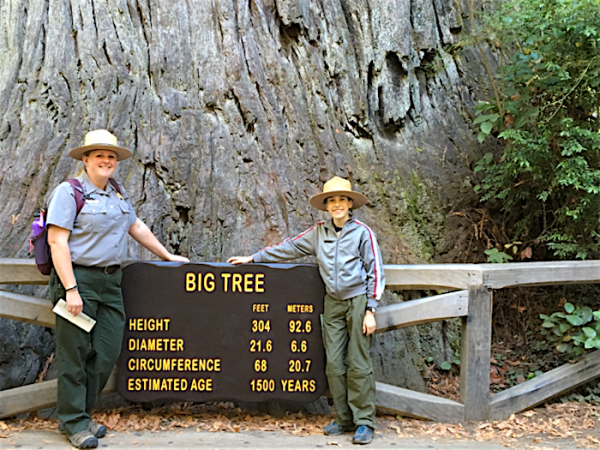 What Are The Oldest Living Trees In California And How Old Are They? California’s redwood trees are not the oldest living things in the world, but they are the tallest. 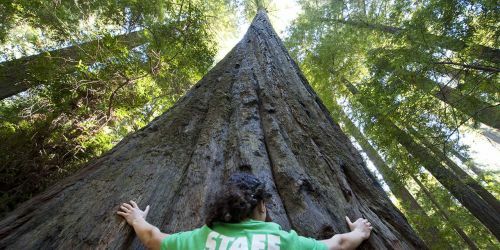 Redwood trees in Redwood National Park can grow hundreds of feet tall. 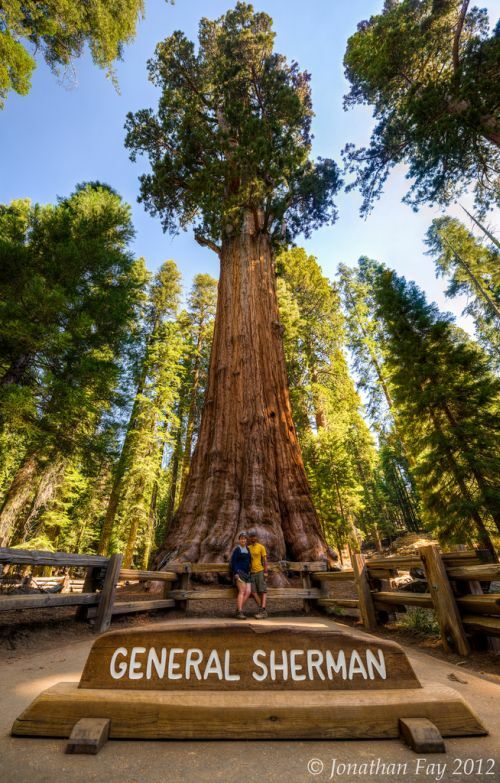 One of the oldest living things in the world is in Sequoia National Park. The General Sherman Tree, a giant sequoia tree that is 272 feet (83 m) tall, has a circumference of 109 feet (33 m) at its base and is thought to be about 2,500 years old. 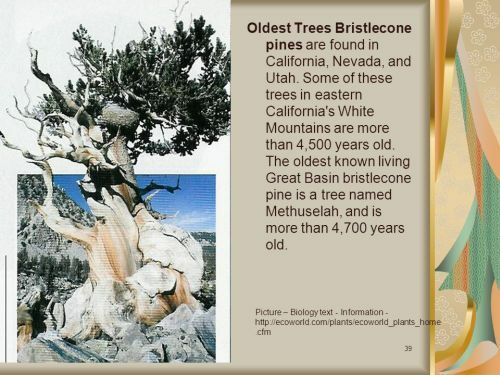 But even older plants live in California, the bristlecone pine trees in California’s White Mountains. Some are more than 4,000 years old. 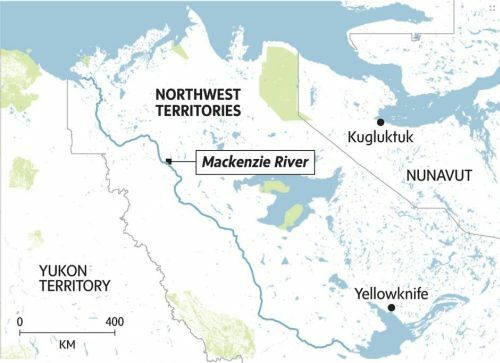 The Mackenzie River, in the Northwest Territories, is 2,635 miles (4,241 km) long, almost 300 miles longer than the Mississippi River in the United States. 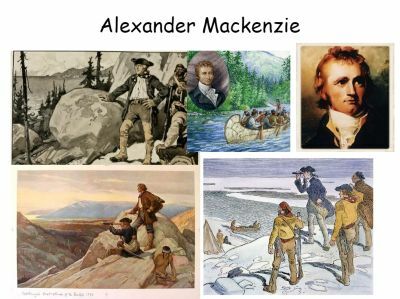 It is named for the explorer Alexander Mackenzie, who was the first person to cross Canada and reach the Pacific in 1793. 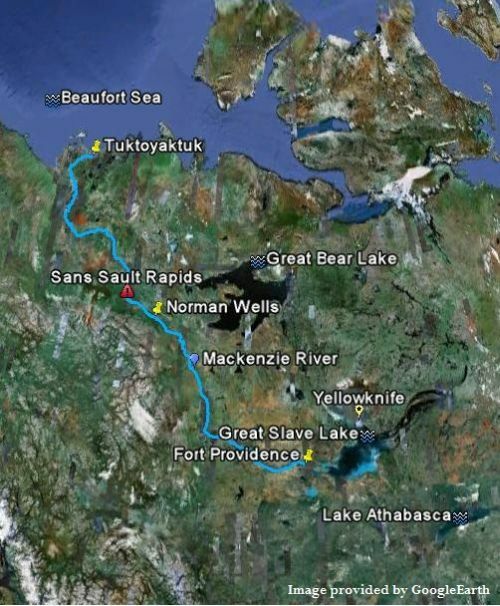 Alexander Mackenzie traveled the river while trying to reach the Pacific Ocean in 1789. 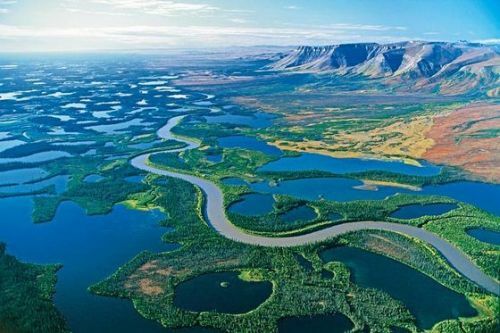 The large delta of the Mackenzie River provides habitat for migrating Snow Geese, and the estuary is a popular birthing area for Beluga whales. 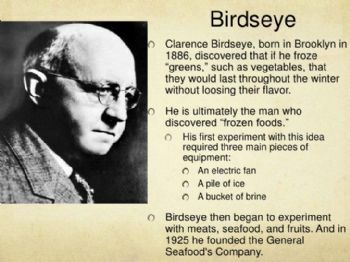 How Did Clarence Birdseye Invent Frozen Food? 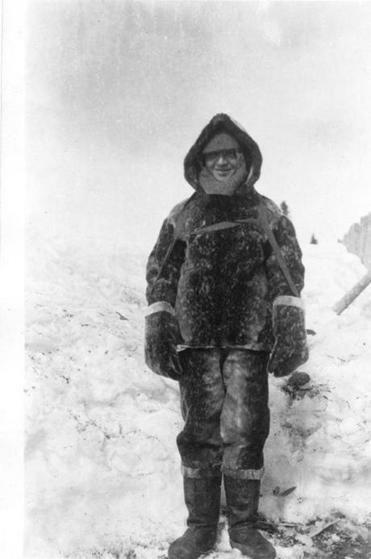 In the mid 1920s, Clarence Birdseye went on a hunting trip to Labrador, Canada. It was winter, the weather was bitter cold, and Birdseye was fascinated by what he saw and tasted. 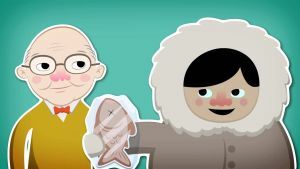 He saw Eskimos catch fish and hang them outside in the sub-zero temperatures to freeze them solid. Birdseye found that when this fish was eaten months later it tasted exactly as though it had just been caught. He was amazed. 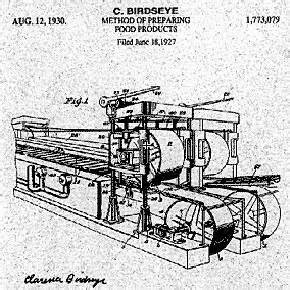 The machinery for freezing food had been invented over forty years earlier, but nobody liked the taste of frozen food. Very often it was soggy and mushy. But this frozen fish tasted fresh. Was it because it had been frozen at such cold temperatures? Birdseye returned home and experimented with freezing fish at super cold temperatures. He found that if he could get the fish below 25 degrees F. in just a few minutes, it tasted delicious. 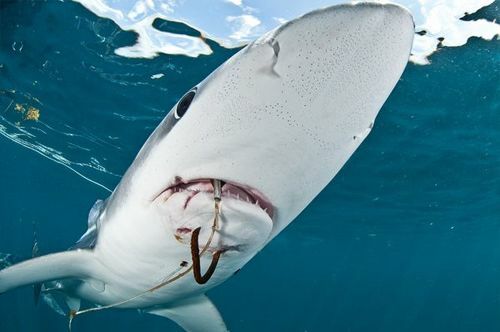 If it took any longer, the fish tasted terrible. 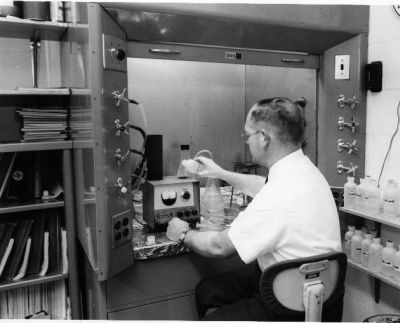 Freezers for this kind of super-fast freezing didn’t exist, so he had to manufacture his own. 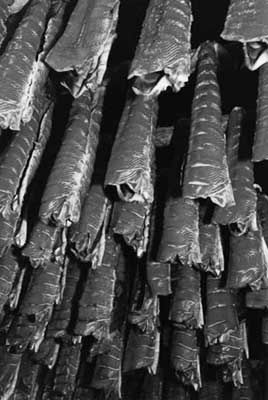 The first packages of Birdseye frozen foods were in stores by the end of the 1920s, all thanks to a hunting trip to Labrador and an ancient Eskimo method of preserving food. 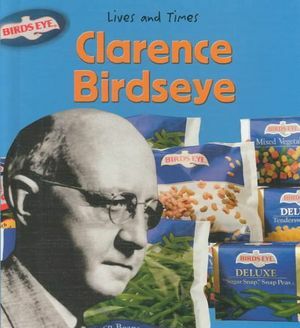 Clarence Frank Birdseye II was born in New York City in 1886, and died in 1956. 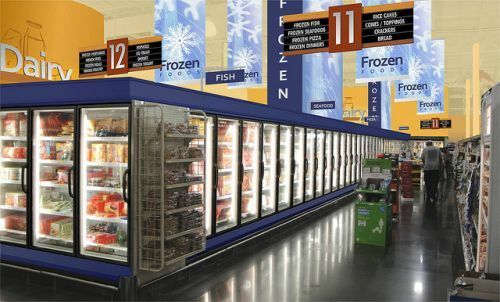 The American inventor is considered to be the founder of the modern frozen food industry.